An extensive and immersive project to rebrand and reinvigorate the long-standing leaders in luxury villa rentals throughout the Riviera Maya, Mexico – Maya Luxe – ahead of their expansion into new territories. Focusing on the company’s unrivalled experience and ties to the local community, we emphasised their expertise through considered design, and delivered a modern, stylish facelift which would appeal to new, millennial audiences, while staying true to a core brand ethos which is evident across digital and print. Conveying the brand's authentic roots & illustrating its native connection to the land. At the heart of the Maya Luxe’s visual aesthetic is the Riviera Maya’s outline, highlighting the company’s unique selling point: its locality in the region. Topographical map features, representing the unique peaks, valleys and ridges of surrounding regions were later weaved into the designs to enhance the sense of travel and adventure, and highlight the company’s plans to expand into experiences beyond the Riviera Maya. The logo — an iconic symbol of Maya Luxe’s sustainable approach and commitment to socially responsible business values — was reinforced with stronger, bolder colours and rearranged to fit modern needs, such as website headers, solidifying its influence across all touch-points. 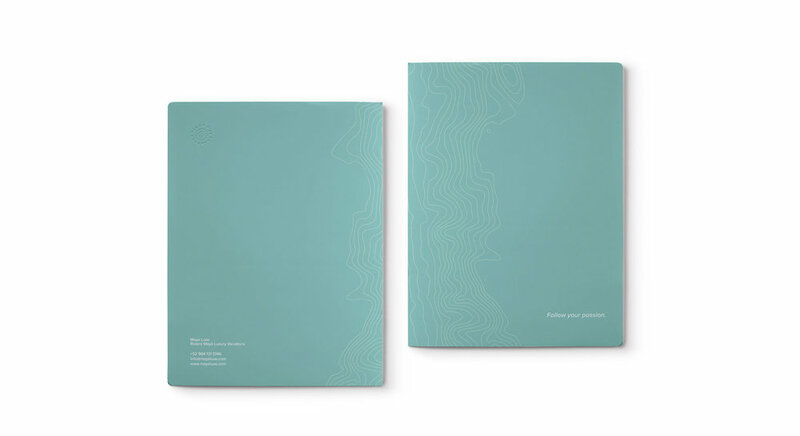 A cool and classy colour palette was inspired by the natural colours found throughout the Riviera Maya, while keeping close to the brand’s aqua teal history, exemplifying modern Caribbean luxury. Understanding that first impressions count at every step in luxury, we designed a range of beautiful print materials for Maya Luxe to complement its high-end hospitality services and sleek brand refresh. 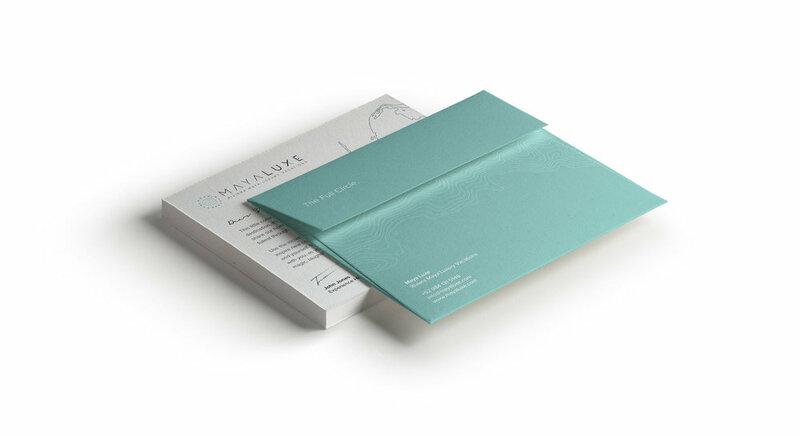 Working with the team to source quality, ecological paper from local providers, the comprehensive welcome package that guests will now find upon check-in at all Maya Luxe villas includes various folders, envelopes, luggage tags, welcome letters and social impact marketing materials. To enhance the brand image and establish it as a thought leader in all things luxury from the Riviera Maya, we created a modern online magazine, supported by cutting edge photography.